Creationists have their own scientific journals in which they publish their research. However, getting their mates to say they did science good doesn’t lend them that much credibility. So, every once in a while someone tries to get a creationist paper into an outside journal. It’s out in the International Journal of Anthropology and Ethnology; which aims to “facilitate dialogues and interactions about the global or regional hot topics”. And, sadly, it seems evolution continues to be a hot topic. Dr Umer’s starts with a problem, as all good papers should start with. Writing only started within the past 10,000 years, yet our (pre)history stretches back an order of magnitude longer. What was going on in all that time? At what point did humans that we’d recognise emerge? Is creationism true? Man is born a man sounds like childbirth from hell. So she sets off to explore what we know about human evolution, using all the latest science from pre-2000. As the fact this book is being cited numerous times shows, she relies on it heavily. Really, that’s her biggest problem here. The most recent citation she uses is from 2002. Pretty much all the information she’s talking about is out of date. As such, her information is all off. She discusses debates that no longer exist, doesn’t know about crucial fossil finds, and there’s no mention of all the cool genetic discoveries we’ve made. I could be super pedantic and spend a few thousand words breaking down all of these mistakes, but it would be rather pointless as Dr Umer ignores them herself! As we arrive at the conclusion of her creationist paper, we don’t review what’s been established, but move onto her main thesis; much of which is completely unrelated from the rest of the paper. There’s a passing reference to the previous discussion (highlighted below) and then we’re off on a new adventure. How can we be descended from Neanderthals if we co-existed? And how could Neanderthals be descended from Homo erectus if they co-existed? Repeat, back to the time of Australopithecus, which is just dismissed outright as an ape. All of which is a valid point, but it’s arguing against an idea that just doesn’t exist. 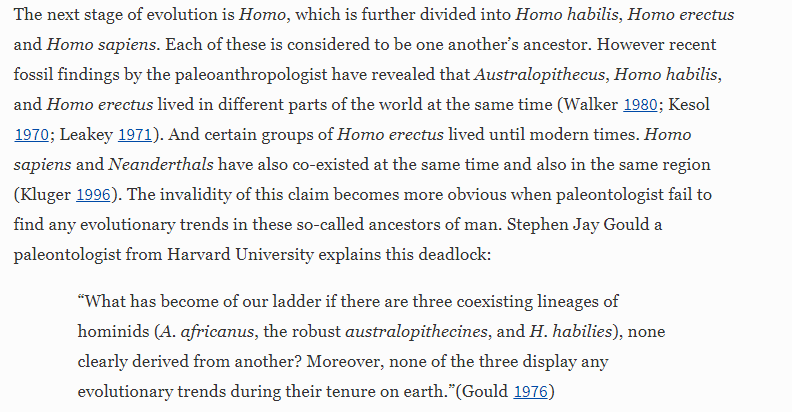 As the quote she’s citing points out, human evolution isn’t a ladder. There’s not some linear progression as cartoons would have you believe. Evolution – including our own – is messy. 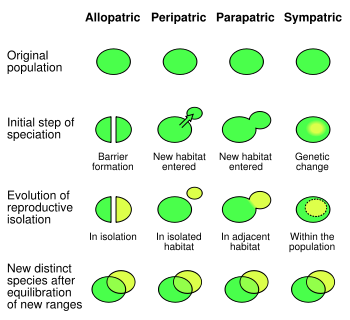 Say a river forms, separating a species into two groups. One group might gradually change until it’s unrecognisable, adapting to the new “other side of the tracks” environment. But that doesn’t mean the other population went anywhere. Instead, it can trundle along just fine; making their family tree look like a messy bush. And if you look at an up to date version of our family tree, that’s exactly how it looks. It turns out there are divisions and branches splitting off all over the place, with multiple species co-existing and evolving. And that undermines all the points Dr Umer is trying to make. You might as well question how Americans can be descended from Europeans, given that both populations are contemporary! In fact, peripatric change explains America just fine. 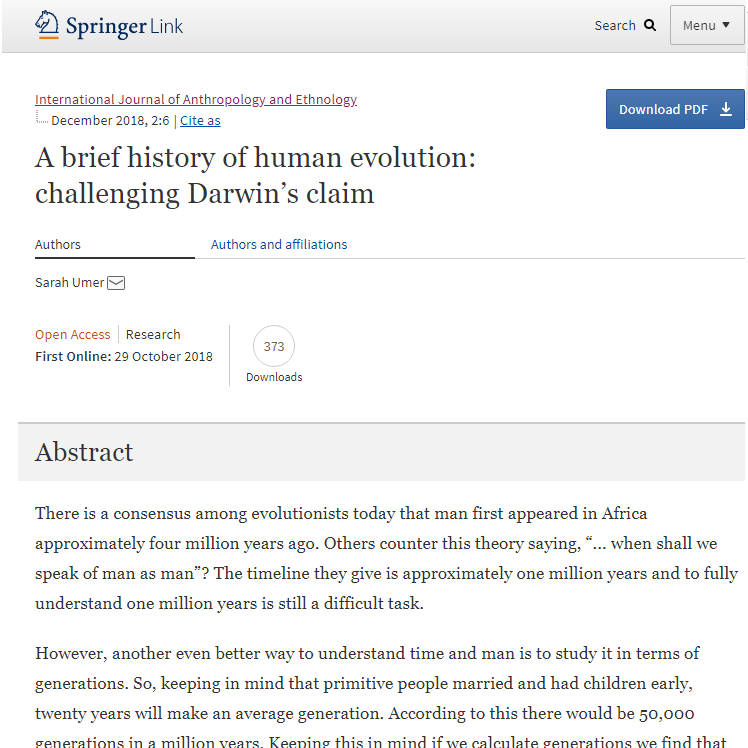 At this point, you might be wondering how such a rotten creationist paper got published, riddled with basic errors. Stuff like getting the capitalisation of species wrong. Or calling species “specie” in the abstract. Now, this isn’t meant to be a dig at Dr Umer. Hailing from Pakistan, she’s likely writing in a second language. Meanwhile, I have enough trouble getting English grammar right as a native speaker. Her argument falls down because it’s attacking an idea that doesn’t exist, not because her grammar is off. Crucially though, these are the sort of basic things that a journal should pick up on and correct. Clearly, the publishers and editors are either incompetent or apathetic. And in today’s world of predatory journals, it’s hard to say for sure which is more likely. Judging the quality of the International Journal of Anthropology and Ethnology is further complicated by the fact it’s a relatively new publication; with only a couple of issues under its belt. But with the prestigious Springer name attached, one should expect it to be somewhat decent. Which makes this research all the more insidious. It’s lending awful arguments a veneer of credibility. But as I’ve hopefully shown, that veneer is less than skin deep. Umer, S., 2018. 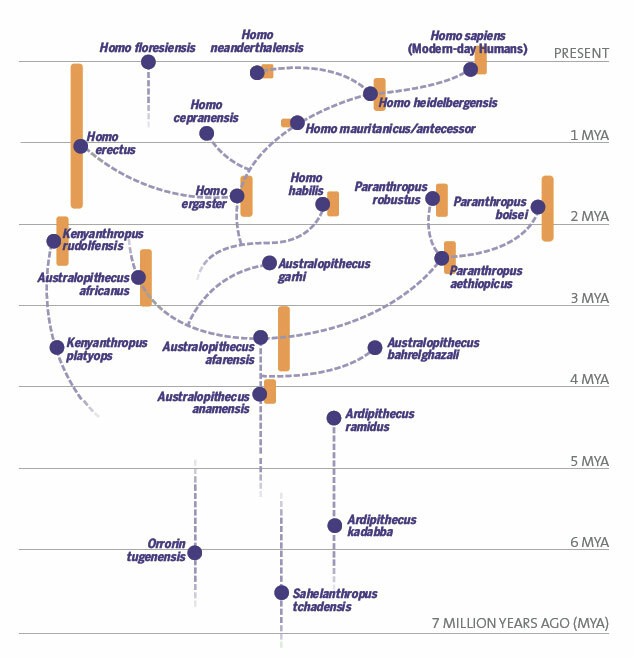 A brief history of human evolution: challenging Darwin’s claim. International Journal of Anthropology and Ethnology, 2(1), p.6. The abstract has several typos, not just one: “Charles Darwin theory” and “archeologist” (for “archeologists”). involved? Live Science mentioned that the hominid from whom the Muc7 gene was was inherited, might not even have been discovered yet ! If it is genetically possible that Erectus and some very early Sapiens had inter bred, what would one imagine the effect would have been ? I personally have experienced that very serious health issues can be overcome by dietary reverting to what early Sapiens would have had to live on. What other human difficulties/problems, could be resolved by approaching them in this manner, psychologically, socially and spiritually. Even possibly in understanding different forms/states of IQ. Could a lot of the earths present inequalities not possibly be overcome by better developed insights from this perspective of the complicate ” Human Tree” ? I wonder if perhaps not even Creationists could be understood from this angle ? I like to think it’s so bad that it doesn’t need name-calling. A creationist paper should not be published in a scientific journal. People should understand the difference between science and religion. I was just hopping to find some hard science evidence and explanations from this post, however all I find are just no no without proper reasoning. Also, make sure that you can actually separate between theoretical evidences and experimental ones. The no no being, as I explained, her entire article revolves around attacking a straw man.